A stay at The Westin Perth places you in the heart of Perth, a 3-minute drive from Perth Mint and 5 minutes from nib Stadium. This 5-star hotel is 0.9 mi (1.4 km) from Elizabeth Quay and 1.3 mi (2.1 km) from WACA. Make yourself at home in one of the 368 air-conditioned rooms featuring minibars and flat-screen televisions. Your room comes with a pillowtop bed. Complimentary wireless Internet access keeps you connected, and cable programming is available for your entertainment. Private bathrooms with shower/tub combinations feature rainfall showerheads and complimentary toiletries. Relax at the full-service spa, where you can enjoy massages, body treatments, and facials. You're sure to appreciate the recreational amenities, including an outdoor pool, a steam room, and a 24-hour fitness center. This hotel also features complimentary wireless Internet access, concierge services, and wedding services. Enjoy Italian cuisine at Garum, one of the hotel's 2 restaurants, or stay in and take advantage of the 24-hour room service. Snacks are also available at the coffee shop/café. Wrap up your day with a drink at the bar/lounge. Buffet breakfasts are served on weekdays from 6 AM to 10 AM and on weekends from 6:30 AM to 10:30 AM for a fee. Featured amenities include express check-in, express check-out, and complimentary newspapers in the lobby. Limited parking is available onsite. 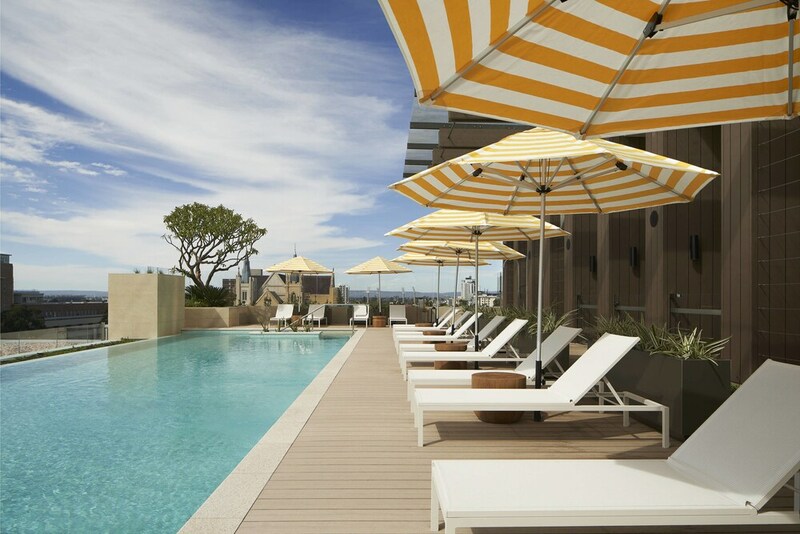 In addition to a full-service spa, The Westin Perth features an outdoor pool and a steam room. Dining is available at one of the hotel's 2 restaurants and guests can grab coffee at the coffee shop/café. A bar/lounge is on site where guests can unwind with a drink. Wireless Internet access is complimentary. This luxury hotel also offers a 24-hour fitness center, spa services, and a terrace. Limited onsite parking is available on a first-come, first-served basis (surcharge). The Westin Perth is a smoke-free property. Buffet breakfasts are available for a surcharge on weekdays between 6 AM and 10 AM and on weekends between 6:30 AM and 10:30 AM. Garum - This restaurant specializes in Italian cuisine and serves breakfast, brunch, lunch, and dinner. Guests can order drinks at the bar and enjoy alfresco dining (weather permitting). A children's menu is available. Open daily. The Haven Lounge - This Cafe specializes in local and international cuisine and serves light fare only. Guests can enjoy drinks at the bar. Open daily. Recreational amenities at the hotel include an outdoor pool, a steam room, and a 24-hour fitness center. Guests can indulge in a pampering treatment at the hotel's full-service spa, Bodhi J. Services include facials, body wraps, body scrubs, and body treatments. A variety of treatment therapies are provided, including hydrotherapy and reflexology. Pool access available from 6 AM to 6 PM.Reservations are required for massage services and spa treatments. Reservations can be made by contacting the hotel prior to arrival, using the contact information on the booking confirmation. The property has connecting/adjoining rooms, which are subject to availability and can be requested by contacting the property using the number on the booking confirmation. Parking height restrictions apply.